The chicks have hatched! It is always fun to watch how the eggs get put into the incubator and then 21 days later, we see these cute baby chicks! I love watching how excited the students get when the eggs start hatching. They rush into the classroom every morning to see if another egg has hatched. Make sure you take the time to call each student to the carpet and let them hold a chick. Just keep your hands very close to their hands. We do hate saying good-by to these little guys when it is time to let them go. This post contains affiliate links for which I will receive a small commision if you click through and make a purchase. So, you may be asking yourself, How can I do the same in my classroom? Our librarian and teachers wrote a grant to buy all the supplies for hatching. You should definitely try to do that for your grade! You could also try to get the money through Donor’s Choice. Our kindergarten teachers are very fortunate to get fertilized eggs from our local 4-H Club. They get them for free because our librarian takes the baby chicks back to them after they hatch. You could also check the local farms around your area to see if they would let you have the eggs to watch hatch for your class. Now that you have your fertilized eggs, you need an incubator. The least expensive incubators are styrofoam models. They hold about 4 dozen eggs at a time, which is probably more than most teachers will ever need to set for a classroom. This is the incubator our teachers used. There are many incubators to choose from. We found this incubator to be a good choice if you don’t mind paying a little more. 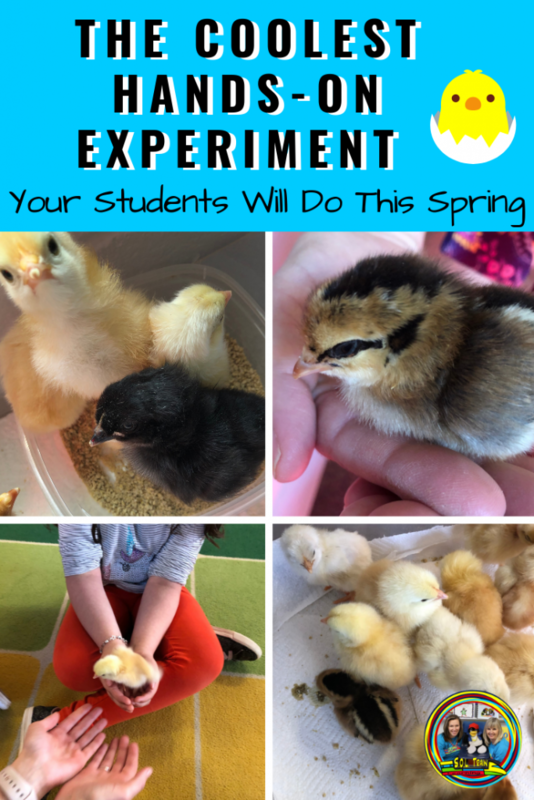 After they hatch, you will need to place them in a clear container so your students can see them, and you can clip on a lamp to keep them warm. Add paper towels to the bottom of the container . You will need to add food and water for them while they are staying in the classroom. You can grab our Interactive STEM notebook to help with the scientific process. 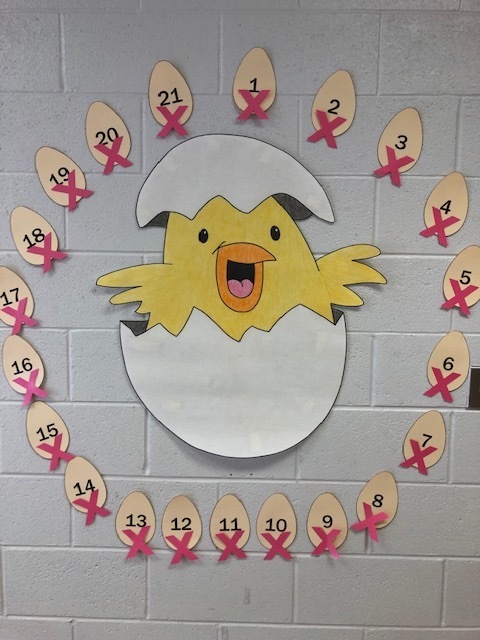 You can have your students guess how many days they think it will take for the first egg to hatch. 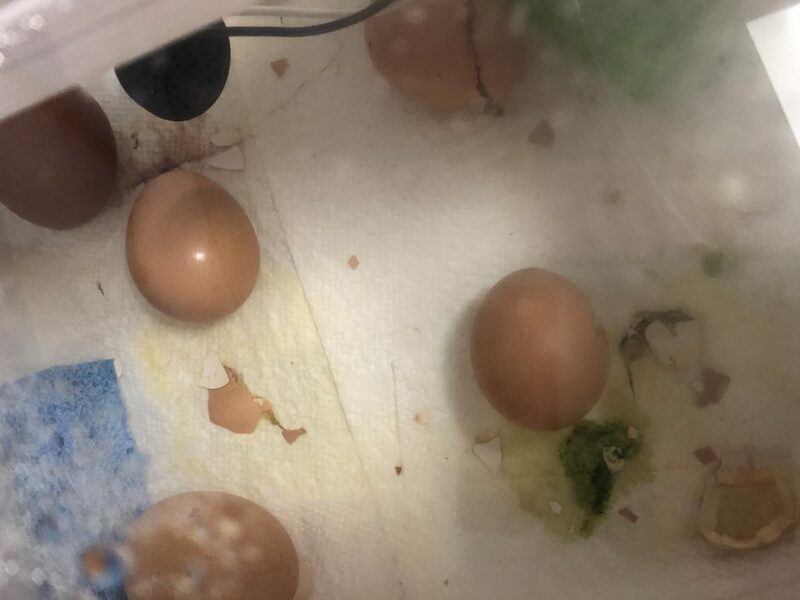 They can write down observations of the eggs in the incubator and the physical characteristics of the baby chicks as well as their behaviors. 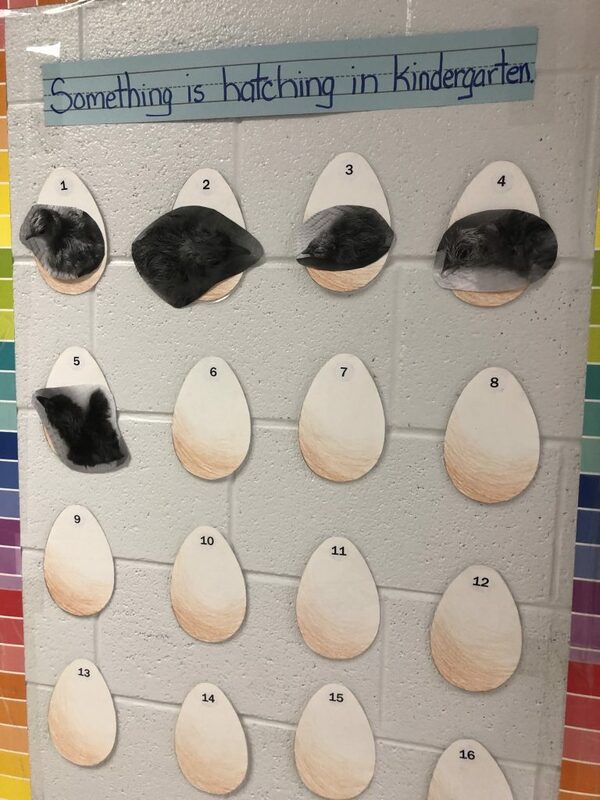 The kids loved doing this countdown to hatching! 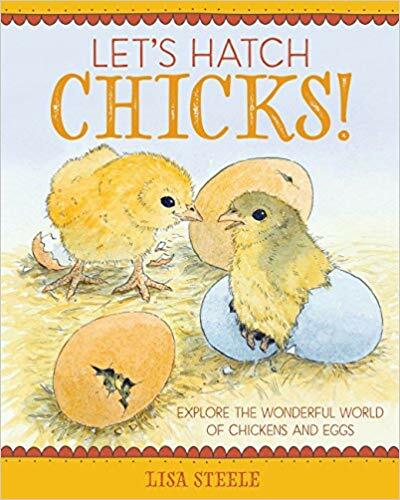 Let’s Hatch Chicks is a great read aloud while you and your students watch the eggs in the incubator. 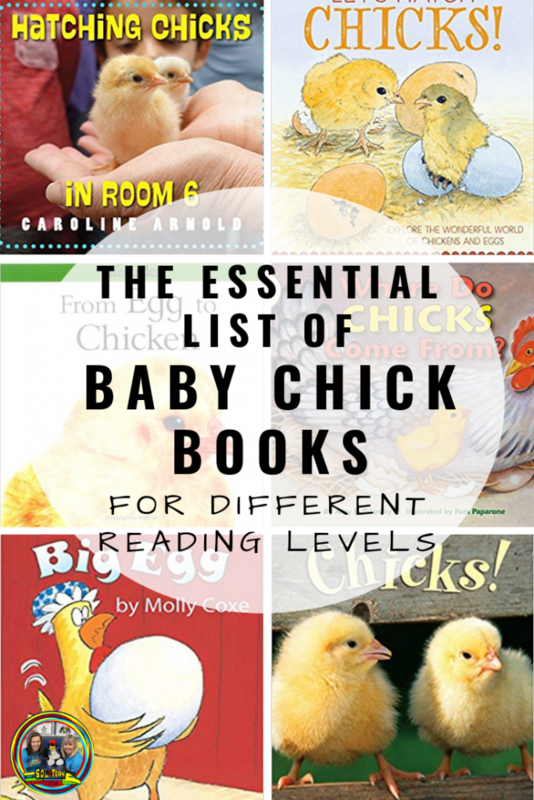 It is such a cute story about a ‘real’ hen named Violet, who hatched her baby chicks. It has great facts that are delivered in kid friendly terms. Love this one!! 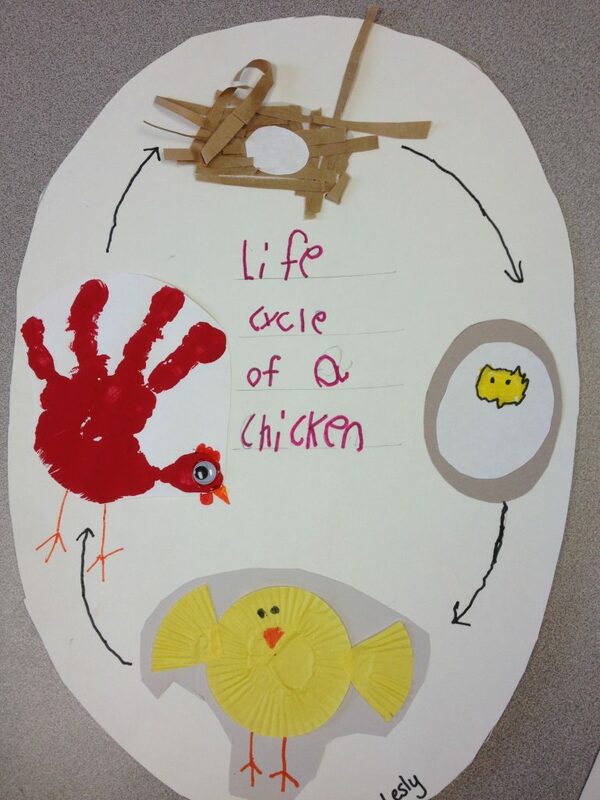 This is a great activity to do to show the life cycle of the baby chick. You will need yellow cupcake liners and googly eyes. I like the self-adhesive ones that have different sizes. 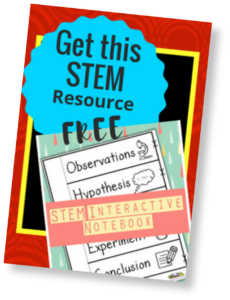 If your students are writing then have them write about it. Next comes the baby chick. 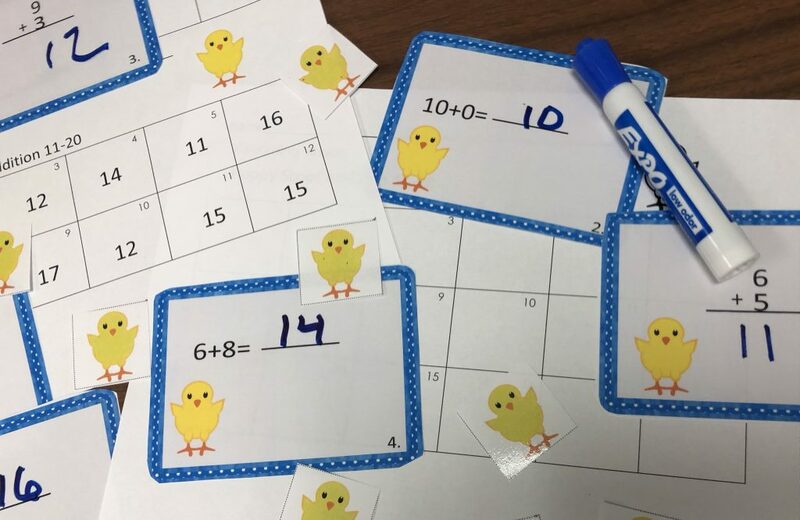 And for math, we have Chick Scoot with adorable little chick manipulatives. This makes them great for math centers too! I like to have the students use a dry erase marker to write the answers on the cards. There is a recording sheet and answer sheet. Get them for a limited time at a great low price. Read the reviews in our TPT store. 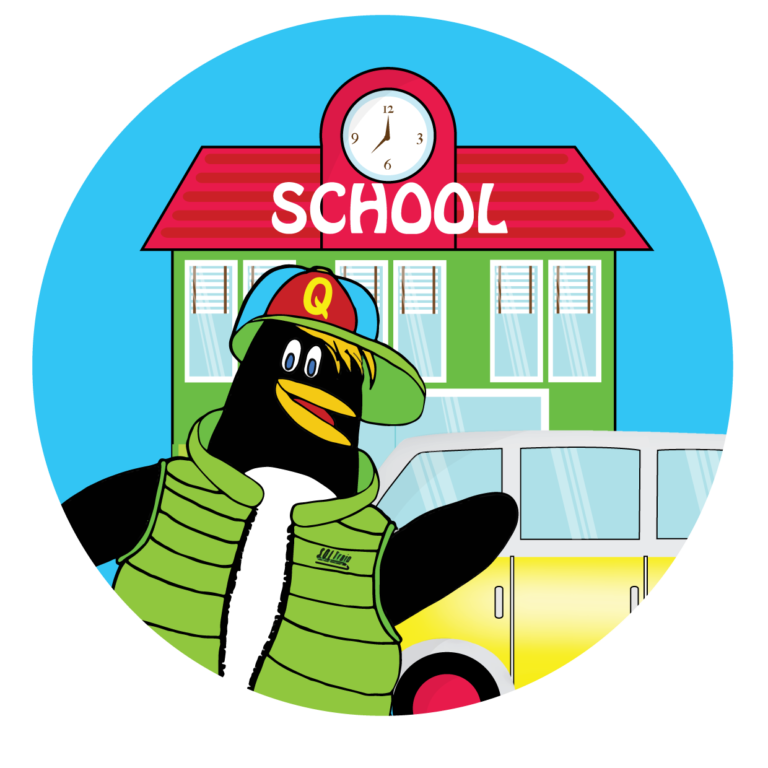 We also have Chick Subtraction Scoot which is the fact families of Chick Scoot Addition.